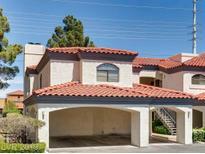 Find West Las Vegas, NV Condos for sale. View Photos, Maps and MLS Data Now! Quiet neighborhood with lots of amenities such as a clubhouse, golf courses, pool, spa, exercise room, racquetball courts, recreation room, social calendar, tennis courts, theatre room and much more included in the Master Planned Community. MLS#2090758. Love Local Real Estate. Please do not disturb the tenants MLS#2091065. Aim To Please Realty. Great Floor Plan With Good Sized Rooms Including A Huge Master With Walk In Closet And Make Up Vanity. 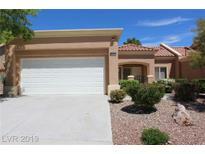 Great Location Just Outside Summerlin. MLS#2090293. Realty ONE Group, Inc.
Condo features open living area with fireplace and balcony of dining room and master. You won't be disappointed! MLS#2088524. ERA Brokers Consolidated. Community Features Resort Style Pool and Spa, Bar-B-Que Area and Gym. MLS#2090172. Simply Vegas. New paint, very clean. Gated Apache Spring. MLS#2089444. Realty ONE Group, Inc. This Del Webb Community Has 3 Golf Courses, Four Community Centers With Pools, Spas, Fitness, Tennis, Social Clubs, Shops, Restaurants And More.Hurry, Home Will Not Be On Market Long. MLS#2087861. Specialists Real Estate. Minutes Away To Shopping Center And Restaurants ****very Competitively Priced****** MLS#2089734. NVWM Realty. Community includes 3 Golf courses, 4 club houses with pools, spas, fitness, tennis, trails, bocce ball and much more MLS#2089278. Realty ONE Group, Inc.
Take look yourself. Won't last long. MLS#2089947. Nationwide Realty LLC. The home was used as a second home so minimally lived in. Some furnishings negotiable. MLS#2088761. Better Life Realty. 3 Bedroom condo*2nd floor*new carpet*All appliances* kitchen w/granite counters & tile floor*community pool, spa, exercise rm. See this one 1st! ! MLS#2089989. Elite Realty. All appliances are included, engineer wood floors, kitchen with granite countertops, master bedroom with walk-in closet, covered patio with laundry area. Must see! MLS#2089883. Vegas International Properties. 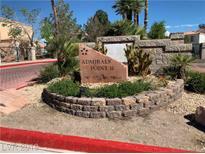 Enjoy the wonderful Desert Shores’ lakes and amenities with this beautiful townhome. MLS#2089794. Keller Williams Realty Las Vegas. 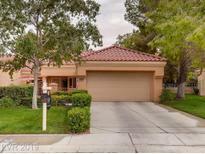 Near Downtown Summerlin / Costco / Las Vegas Ball Park / Golden Knights Practice Arena- Great Location! MLS#2089074. Show Vegas Realty. 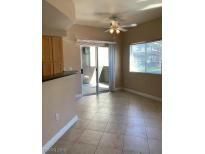 This is an owner Occupied Only Community and pride of ownership shows throughout the complex. MLS#2089187. Realty ONE Group, Inc.
Garage has a finished flooring. Newer carpet. Must see MLS#2089750. Realty ONE Group, Inc. Living Room with Cozy Fireplace; Master with Walk-In Closet; Nice size secondary bedrooms; Neutral colors throughout; .Courtyard area, Community pool, and spa MLS#2086638. Century 21 Americana. Come check this one out today! MLS#2089496. Congress Realty. Quiet community featuring pools, tennis courts, BBQ areas and spate RV parking. MLS#2089742. Show Vegas Realty. Home Sits On A Large Lot And Has Covered Patio And Pool & Jacuzzi In The Backyard! MLS#2086776. Jason's Realty. First Floor Unit In Gated Community With Lush Grounds*very Clean*2 Bedrooms Both With Walkin Closet*separate Den With Double Door Entry*front Living Room W/Cozy Fireplace*lg Dining Area*sunny Kitchen W/Breakfast Bar*master Bedroom&secondary Bedroom Both Have Ceiling Fans*master Bath W/Double Sinks*patio Overlooking Greenbelt*community Pool, Spa And Clubhouse*covered Parking MLS#2089440. BHHS Nevada Properties. The Front Balcony Overlooks Lovely Lush Landscaping. This Is A Must See! MLS#2088568. Cofield Real Estate. Condo has lush landscape throughout and a community pool/spa and clubhouse. MLS#2084923. Movoto, Inc.